A cute kitten with a very twitchy tail is looking for a friend to trick-or-treat with in this purr-fect Halloween novelty book from award-winning creator Salina Yoon. Will Kitty find someone to play with on her favorite night of the year? Help Kitty wag her furry orange tail whenever she meets a new friend. 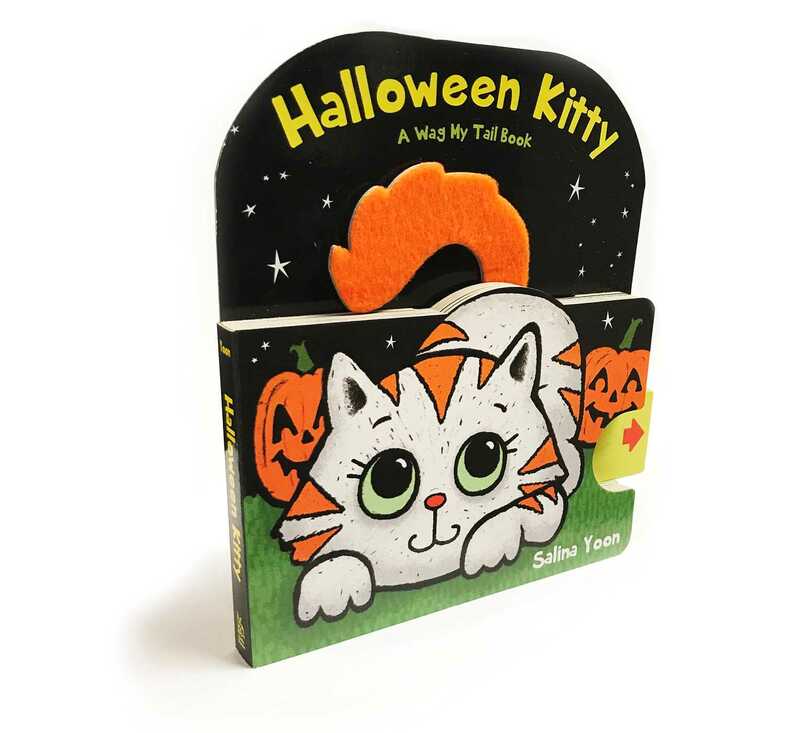 With a sturdy pull-tab that wags Kitty’s tail, this interactive novelty book is perfect for Halloween.